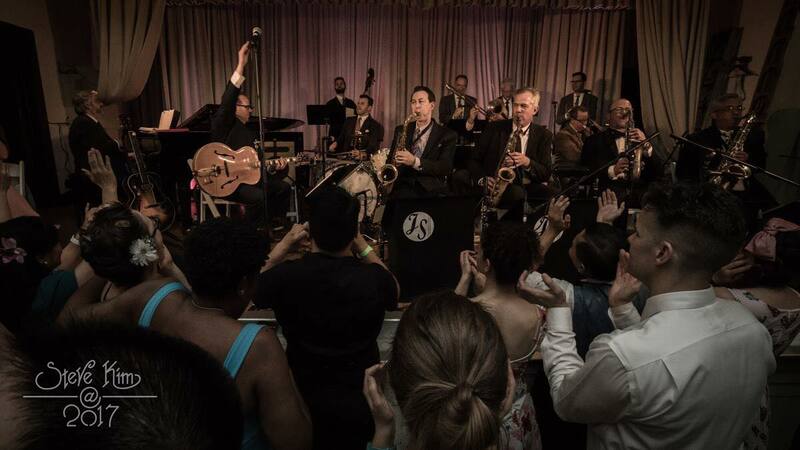 The Orchestra was founded in 2004 after promoters demanded a full big band that was as danceable and exciting as the Campus Five. Jonathan and Hilary responded with a big band that was designed from the outset to be the ultimate swing dance orchestra and has gone on to become the gold-standard in the swing dance world. For CalBal 2019, the Orchestra will feature special guest musicians in addition to regular JSO players. 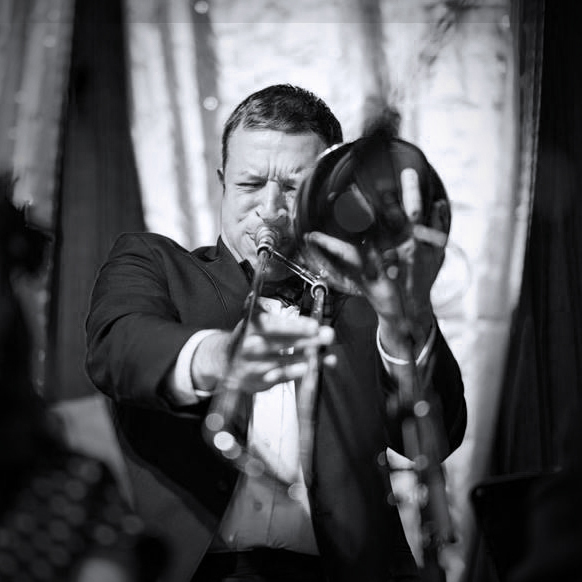 Gordon Au, Trumpet: Called “comfortable in any idiom and fearless” by music writer Michael Steinman, Gordon draws upon a palette ranging from the traditional jazz of Louis Armstrong to the modern jazz of today. 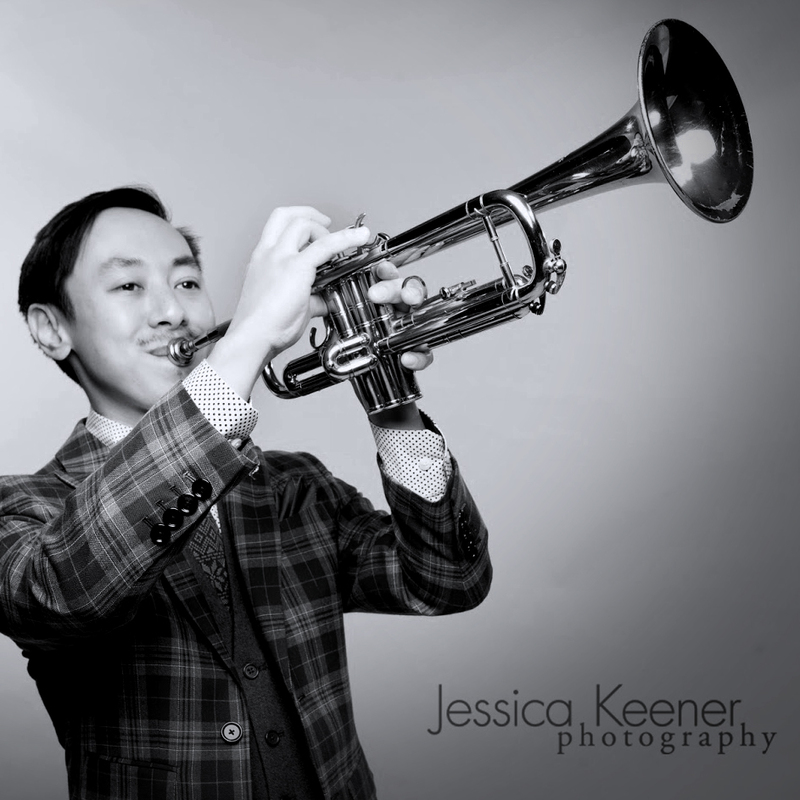 He is in demand around the country as a soloist (International Trumpet Guild), festival guest artist (Redwood Coast Music Festival, Monterey Jazz Bash By the Way), swing musician (Lindy Focus, DC Lindy Exchange), arranger (Terence Blanchard, Lizzy & the Triggermen), and clinician and educator (Jazz at Lincoln Center). Lucian Cobb, Trombone: Lucian Cobb is a freelance trombone player, teacher, arranger, and composer based out of Durham, North Carolina. 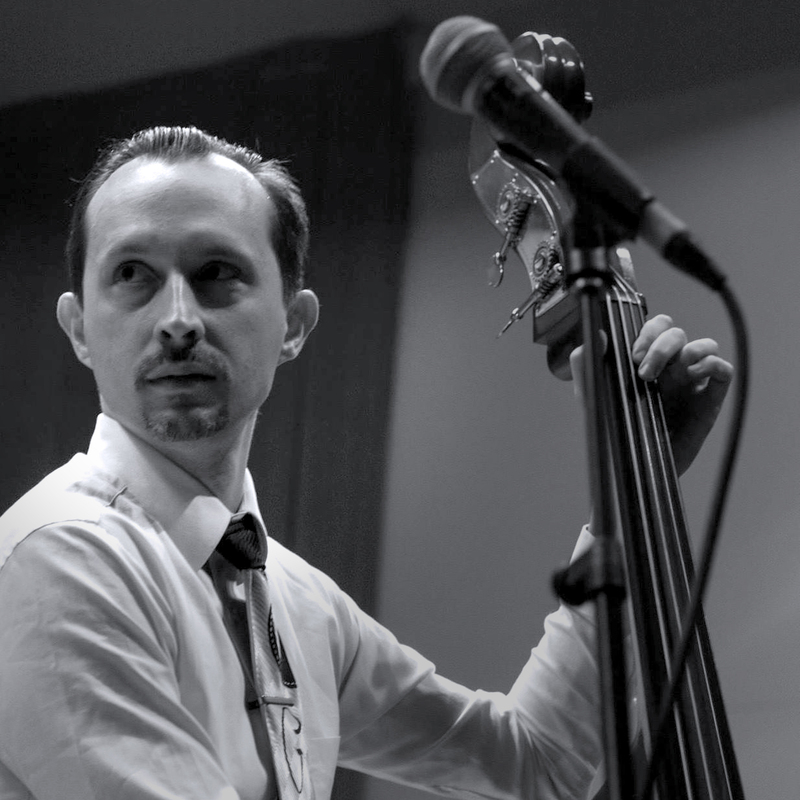 Lucian primarily plays with local jazz groups, but also travels the United States performing with jazz groups from major US cities. He runs the Durham-based Mint Julep Jazz Band. 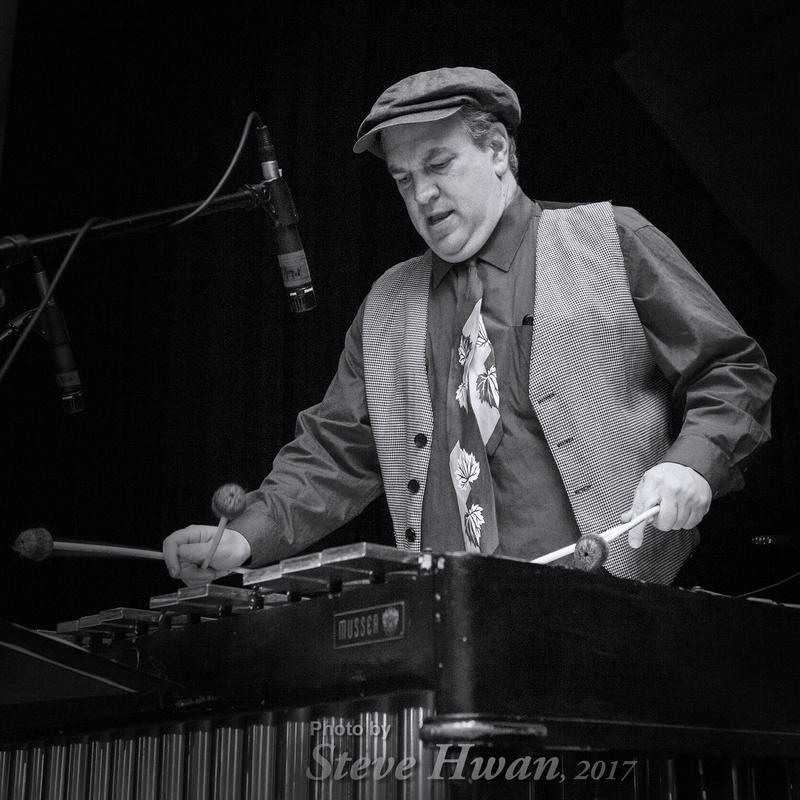 Craig Fundiga, Vibraphone: Craig is well-known to swing dance audiences as the vibraphonist with the Grand Slam Sextet. This year, Craig will play with the Jonathan Stout Orchestra on Saturday night as we featuring Lionel Hampton big band arrangements. Craig will also play Sunday night with the Grand Slam Sextet. Michael Gamble, Bass: Co-proprietor of Lindy Focus, founder Michael Gamble and the Rhythm Serenaders and the Rythm Serenader Orchestra. 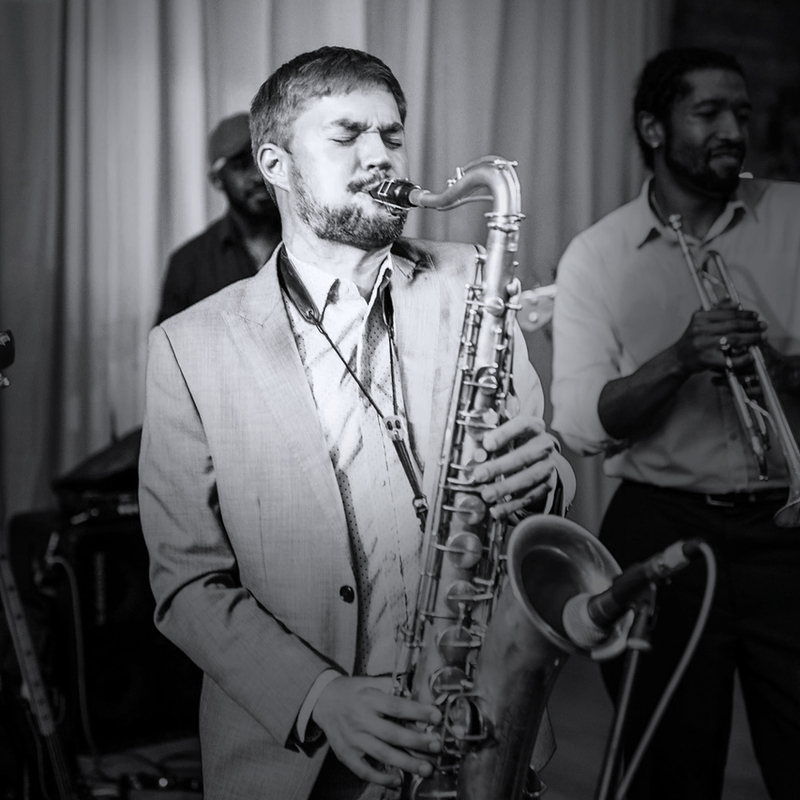 Keenan McKenzie, Clarinet and Saxes: Keenan McKenzie regularly travels around the US with dance-oriented swing ensembles such as The Mint Julep Jazz Band, Michael Gamble & The Rhythm Serenaders, and The Jonathan Stout Orchestra featuring Hilary Alexander. His debut album Forged in Rhythm was released in December, 2017. The Grand Slam Sextet debuted at the California Balboa Classic in 2014 and has played at CalBal each year since! 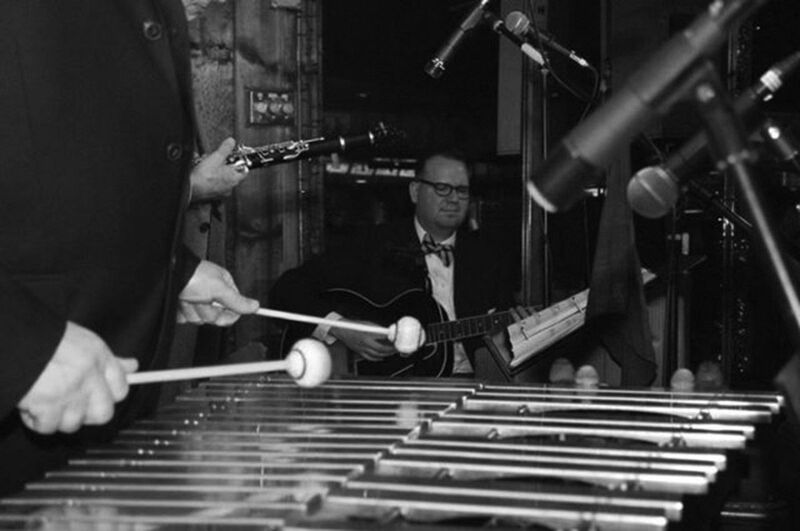 Inspired by the sound and spirit of the Benny Goodman Sextet along with Benny’s Trios and Quartets, this band features the unique and magical combination of Clarinet and Vibraphone. Thus the Grand Slam Sextet features the iconic front line of Clarinet, Vibraphone and Electric Guitar, backed by the rock solid Campus Five rhythm section. Echoes of Benny, Lionel Hampton, and Charlie Christian will fill your ears and the rhythm will move your feet.